Panorama produces a wide range of high-performance Cellular / LTE & WiFi antennas, trusted by public safety providers, utilities and transportation companies all over the world. With a focus on engineering innovative products that set the industry standard in functionality, many of our products are used as a standard kit by OEMs, network providers, emergency services and organisations with fleet vehicles. With increasing use of data for internet access and video streaming - high-performance MiMo antennas are often a requirement for many applications and Panorama has a range of MiMo Cellular / LTE & WiFi antennas across a variety of form factors and mounting options. Panorama specialises in combination antennas with many products combining multiple functions including cellular / LTE, WiFi and GPS/GNSS into a single compact housing. Law enforcement and surveillance applications may require an antenna solution which is not visible to the public. Panorama has a range of vehicular and body worn covert and discreet solutions across a range of UHF, VHF and Cellular/LTE frequencies.worn covert and discreet solutions across a range of UHF, VHF and Cellular/LTE frequencies. The challenges faced when choosing communication antennas for installation in frontline vehicles seem to be constantly increasing. With the prominent rise of GPS and mobile computing becoming integrated into routine operations, the amount of information coming in and going out of an emergency service vehicle is higher than it has ever been. The Panorama Antennas range of vehicular antennas has been designed to meet the needs of today’s in-vehicle critical communication needs. Antennas for terminals devices and test equipment can enhance the performance of radio equipment. 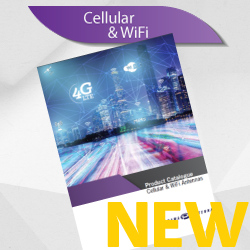 Panorama offers a range of antennas for direct connection to terminal equipment supporting a variety of technologies such as WiFi and cellular LTE and with a variety of connectors. This includes products for rail application, where stringent Environmental and EMC standards are required and other transportation (e.g. bus/coach) where a rugged and efficient antenna is required. Panorama Antennas offers a full range of products for DAS (Distributed Antenna Systems) in building deployments and repeater systems. Our product line includes Low PIM cellular / LTE antennas and jumper cables, VHF and UHF solutions and WiFi antennas to improve WLAN coverage. Our range includes products constructed from flame retardant and low smoke material as well as products which have been SAR tested. Panorama supports networks and resellers by offering a range of 2G/3G/4G LTE antennas directed at consumers. These include easy to use, desk and window mount solutions for USB modems and domestic and small business routers. Panorama supplies a range of pre-assembled cable assemblies. We can offer a range of cables types with different dimensions, loss characteristics and regulatory approvals. We also offer a range of low PIM jumper cables for in building applications. Our cables are all expertly assembled in a controlled environment avoiding issues with consistency and quality. Panorama Antennas was honoured at the International Critical Communication Awards 2016 dinner in central London, where the Great White MiMo LTE antenna series was nominated as a finalist in the “Best Evolution to Future Broadband” category. Such an achievement is recognition and acknowledgment of the superior and industry-leading nature of the Great White antenna series and its capability to change the critical communications landscape worldwide. This honour is credit to the excellent and dedicated R&D team at Panorama who work tirelessly to develop products such as this that are best in class. The International Wireless Communications Expo (IWCE) is the premier annual event for communications technology professionals taking place March 5-9 2018, at the Orange County Convention Center in Orlando, FL. stop by booth #1072 and discover products that will make a difference to your connections.